Sifting through what's possible and what's not. If the rumors are true—and they are often, if not always—Apple is preparing to release a new generation of iPad Pro models this fall. I bought the first-generation 12.9-inch iPad Pro back in 2015 and still use it as my primary portable computer, so I’m excited at the rumors of a major iPad Pro redesign. Let’s sift through the rumors and reports and see if we can figure out where the iPad Pro is headed next. 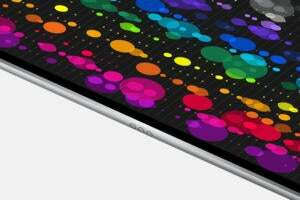 According to supply-chain sleuth Ming-Chi Kuo, the new iPad Pros will feature 11-inch and 12.9-inch screens. 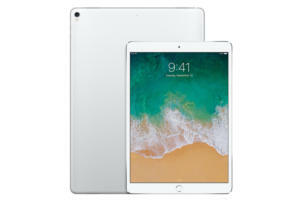 This continues a trend of upsizing the smaller iPad Pro model, which was introduced in early 2016 as a 9.7-inch model (the traditional iPad size), then replaced with a 10.5-inch version in 2017. Apple’s done a good job of separating the standard iPad from the iPad Pro in the last couple of years, dropping the price of that model while retaining the classic 9.7-inch size. Upgrading the smaller iPad Pro with a larger screen helps keep the two distinct, and adding a half an inch of diagonal screen space to the new model will give iPad Pro users even more room to work. Between upgrading the smaller model and retaining the larger one, Apple’s setting up a dynamic that’s remarkably similar to a calculation the company made about the proper sizes of laptops a few years ago: In the heyday of the MacBook Air, there were 11- and 13-inch models—and we’re on the precipice of having the same be true of the iPad Pro, give or take a tenth of an inch. But despite the upgrade in screen size, all the rumors point to devices with dramatically shrunken bezels. Consider these iPad Pros as upgrades in the style of the iPhone X: small bezels, no more home button, and the introduction of a TrueDepth sensor to support Face ID. That means that the smaller model shouldn’t grow too much despite its screen upgrade, and the larger-screened model should actually get smaller. I love the 12.9-inch iPad Pro, but there’s no denying that it’s big. Every millimeter that can be shaved off of the larger iPad Pro will appreciably improve it. The original iPad Pro models introduced a new connection type, the Smart Connector, a magnetic peripheral clip placed on the device’s wide edge. It was added so that Apple could create a keyboard accessory, the Smart Keyboard, that attached to that edge and could both get power and transmit data across the Smart Connector. 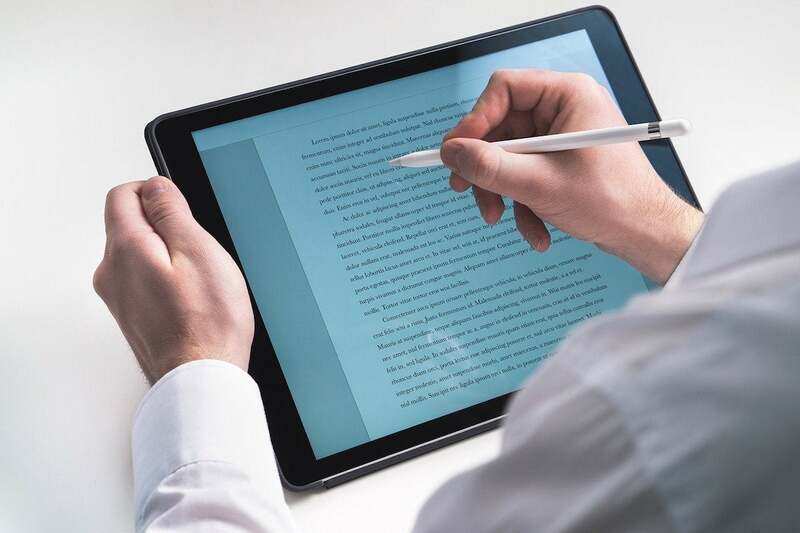 It was a great move by Apple to acknowledge that some users need to do a lot of typing on their iPad Pros, and that an ultraportable keyboard that was always with you and never needed to charge or be paired wirelessly was the perfect solution. So what to make of the (somewhat fuzzy) rumors that the smart connector is being relocated to a spot on the narrow side of the iPad Pro, just behind the Lightning connector? The Smart Connector is currently on the wide edge of the iPad Pro. Will that change this year? My first reaction is, quite simply, disbelief. You attach the Smart Keyboard to the iPad on the wide side because the wider you can make a keyboard, the more full-sized you can make the keys. Also, while different use cases can vary, I use my iPad Pro in a horizontal orientation more than 90 percent of the time... it’s primarily horizontal in the same way that the iPhone is primarily vertical. I’m still not entirely convinced that this rumor is true, but if it is, that probably suggests Apple is up to something radical, something that involves a back case, not just a front cover. Apple used to make a Smart Case for the iPad that snapped on the back and wrapped around to the front—my wife used one for years and is still sad that Apple doesn’t make one for her 10.5-inch iPad Pro. Still, I keep feeling like we’re hearing hoofsteps and thinking zebras here. To me, the most logical explanation is that whatever appears in those rumor-generating CAD drawings is either a second Smart Connector or something completely different. If Apple ditches the simplicity and excellence of the Smart Keyboard for something that mandates a back shell or makes disconnecting and reconnecting the keyboard a hassle, that will be an unfortunate regression. The 2017 iPad Pro models are powered by the A10X Fusion chip. While it’s a safe bet that this fall’s iPhones will be powered by an A12 chip—when in doubt, increment by one—I think it’s also a safe bet that the iPad Pro will be powered by an A11X, an adaptation to the chip in the iPhone X and iPhone 8. The A10 was a four-core design, and Apple adapted it for the iPad Pro by adding two cores to the A10X. With a larger battery than the iPhone, the iPad’s needs and power profile are a bit different than the iPhone. Then again, it’s possible that Apple’s chip designs have become so powerful that something like an A12 could be the perfect chip across the iOS product line. But if I had to place a bet, I’d guess that Apple will build an A11X chip that’s a variant of the processor in the iPhone X, but tweaked for the particular needs of the iPad Pro. I mentioned the removal of the home button and the addition of the TrueDepth camera. On the iPhone X, Face ID only works in vertical orientation, but the iPad is a device that is very commonly (I would say primarily) used in horizontal orientation. Speaking as someone who is not interested in rotating my iPad every time I want to unlock it, I am going to guess that Apple has either placed a pair of front-facing cameras on the iPad Pro, or more likely has improved the Face ID software so that it can read a person’s face in either horizontal or vertical orientations. 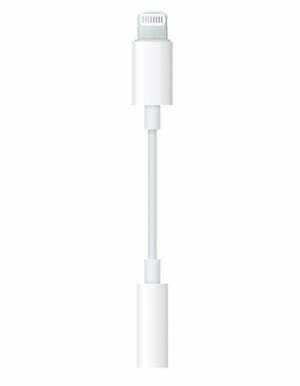 Will you need Apple's Lightning to 3.5mm headphone adapter with the new iPad Pro? Another bit of speculation about the new iPad Pros is that they may finally follow the iPhone in sending the standard 3.5mm headphone jack into oblivion, requiring a Lightning adapter if you want to use wired headphones. It certainly wouldn’t surprise me if this happened, though I’m skeptical that it’s really necessary—the iPad is very large and space isn’t quite at the same premium as on the iPhone. I use wired headphones to edit podcasts on the iPad Pro all the time, and while these days I carry a Lightning adapter in the same bag as my wired headphones, it would be unfortunate if I could no longer charge my iPad or attach an accessory while also listening. In the long run, I do wonder how the iPad Pro is going to approach external ports. The more the iPad Pro becomes computer-like, the more it becomes a fair question to ask if it might not be a bad idea to add a second Lightning port, or even a USB-C port, to the device. That’s not a challenge for Apple’s hardware team, though—it’s a challenge on the software side, because iOS’s support for USB devices (currently via a Lightning adapter) is pretty meager. If you can’t attach a hard drive or connect a card reader and see the contents natively in iOS, why even bother with USB? I’m excited about where the iPad Pro is (apparently) going. It’s one of my favorite Apple products of the last five years and it fits into my life so much that I rarely crack open my MacBook Air. The return of the standard iPad to the product line also frees the iPad Pro to get more pro, without fear that new features will push the starting price of the iPad line too high. What I’m saying is, while I’m confused by a few of the rumors surrounding the next iPad Pro models, I can’t wait to see them. The whole world will be watching in September for the details of the latest iPhones, but I’m going to be cheering the loudest for a new iPad Pro.